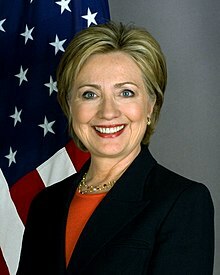 Hillary Clinton has served as Secretary of State, Senator from New York, First Lady of the United States, First Lady of Arkansas, a practicing lawyer and law professor, activist, and volunteer, but the first things her friends and family will tell you is that she’s never forgotten where she came from or who she’s been fighting for throughout her life. Hillary grew up in a middle class home in Park Ridge, a suburb of Chicago, Illinois. Her dad, Hugh, was a World War II Navy veteran and a small business man with a drapery business that designed, printed, and sold his draperies. Hillary, her mom, and her two brothers helped out in the business whenever they could. Hugh was a rock-ribbed Republican, a pay-as-you-go kind of guy who worked hard and wasted nothing. Hillary’s mother, Dorothy, had a tough childhood. She was abandoned by her parents as a young child and shipped off to live with relatives who didn’t want her. By age 14, Dorothy knew the only way she’d get by was to support herself, and she started working as a housekeeper and babysitter while she went through high school. Her mother’s experience sparked in Hillary a lifelong commitment to championing the needs of children. Her own childhood was very different. Her parents built a stable middle class life. Hillary attended public schools and was a Brownie and a Girl Scout. She played in a girls’ softball league. She was raised a Methodist and her mom taught Sunday school. Her youth minister took Hillary to see Martin Luther King, Jr. speak in Chicago and helped her develop a lifelong passion for social justice. Hillary graduated from Wellesley College and then went to Yale Law School, where she was one of just 27 women in her graduating class. Hillary met her husband Bill at law school. After law school, Hillary chose not to go to a big New York or Washington law firm. Instead, she went to work for the Children’s Defense Fund, going door to door in New Bedford, Massachusetts, gathering stories about the lack of schooling for children with disabilities, which contributed to the passage of historic legislation to require their education. It’s this commitment to public service and fighting for others—especially children and families—that she’s carried all her life. After serving as a lawyer for the Congressional Committee investigating President Nixon, she moved to Arkansas where she taught law and ran legal clinics representing poor people. She co-founded Arkansas Advocates for Children and Families, one of the state’s first child advocacy groups. And on October 11, 1975, she married Bill in a small ceremony in Fayetteville, Arkansas. As First Lady of Arkansas, she was a forceful champion for improving educational standards and health care access. And she and Bill started their own family when their daughter, Chelsea, was born in 1980. Bill was first elected president in 1992 and re-elected in 1996. As First Lady, Hillary tenaciously led the fight to reform our health care system so that all our families have access to the care they need at affordable prices. When the insurance companies and other special interests defeated that effort, Hillary didn’t give up. She worked with Republicans and Democrats to help create the successful Children’s Health Insurance Program, which provides health coverage to more than 8 million children and has helped cut the uninsured rate for children in half. In 1995, despite being told by some officials not to go, Hillary led the U.S. delegation to Beijing to attend the UN Fourth World Conference on Women and gave a groundbreaking speech, declaring that “human rights are women’s rights and women’s rights are human rights once and for all”—inspiring women worldwide and helping to galvanize a global movement for women’s rights and opportunities. In 2000, Hillary was elected to the U.S. Senate, becoming the first woman senator from New York. After the terrorist attacks of September 11, 2001, Hillary pushed the Bush administration to secure $20 billion to rebuild New York and fought to provide health care for first responders who were contaminated at Ground Zero. She repeatedly worked across the aisle to get things done, including working alongside Republicans to expand TRICARE so that members of the Reserves and National Guard and their families could get better access to health care. When Congress wouldn’t do enough for rural areas and small towns, Hillary didn’t back down. She launched an innovative partnership in New York with eBay and local colleges to provide small businesses with tech support, microloans and training programs to sell their goods online. She helped expand broadband to remote areas of the state. And she launched Farm-to-Fork, to help New York farmers and producers sell their products to New York’s restaurants, schools, colleges and universities. She built a coalition for tough new sanctions against Iran that brought them to the negotiating table and she brokered a ceasefire between Israel and Hamas that ended a war and protected Israel’s security. She was a forceful champion for human rights, internet freedom, and rights and opportunities for women and girls, LGBT people and young people all around the globe. In 2014, Hillary took on a new role—grandmother to Charlotte Clinton Mezvinsky—and she couldn’t be prouder or happier.